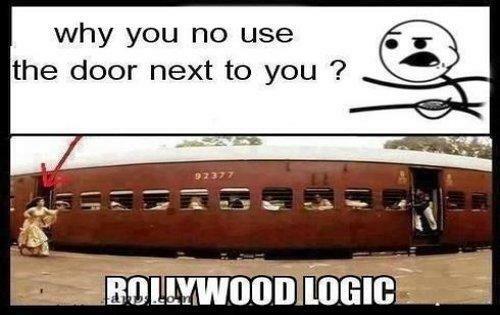 Believe it or not, Bollywood films definitely depict the death of logic. Since, the very beginning of the Indian film industry, this ‘Parampara’ has made its long way and still going on confidently. 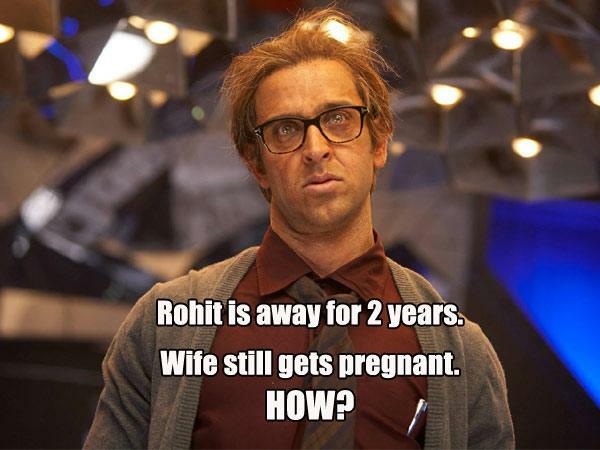 Only the Bollywood can dare to move on with the silly things and absurdity they showcase. Moreover, despite projecting frivolous things, these movies become huge hits and earn crores. Apparently, the film industry has become successful in making its audience fool to some extent. But some of us, the clever ones, skillfully extract out the foolishness and absurdity making it lame and poor. 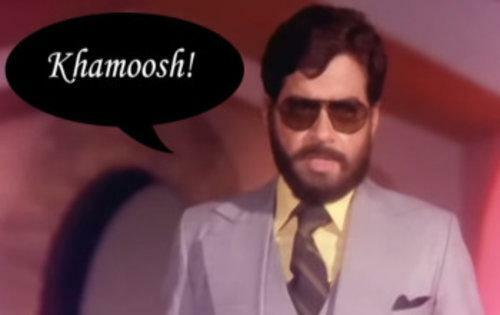 Here we have a list of Bollywood’s most hilarious and farcical logics that have little or no sense. This movie teaches us that an eight year old kid has so much brain that she can perfectly play the role of love angel and we can fully trust her doings. This kid can surely understand the emotional aspect related to love which 26 yrs old young person finds it difficult to comprehend. This scene of the movies purely shows that Action defies Physics and of course Logic. 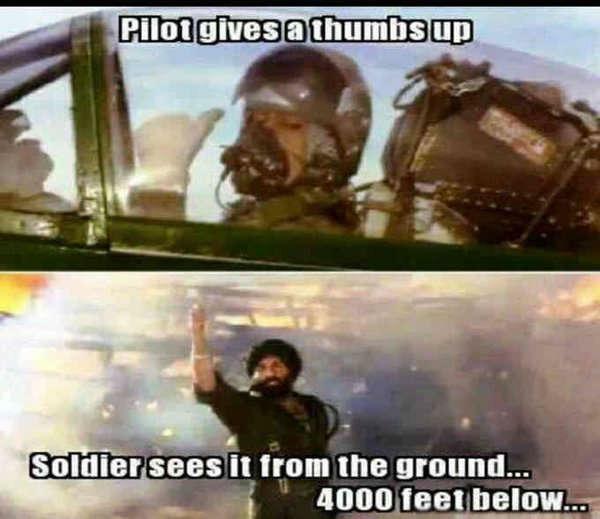 Dude, how can one see the body gestures from the 4000 feet below and that too when the other person is sitting in an aircraft? Poor Logics! That’s lame; the hero is marrying the heroine just because her father died. 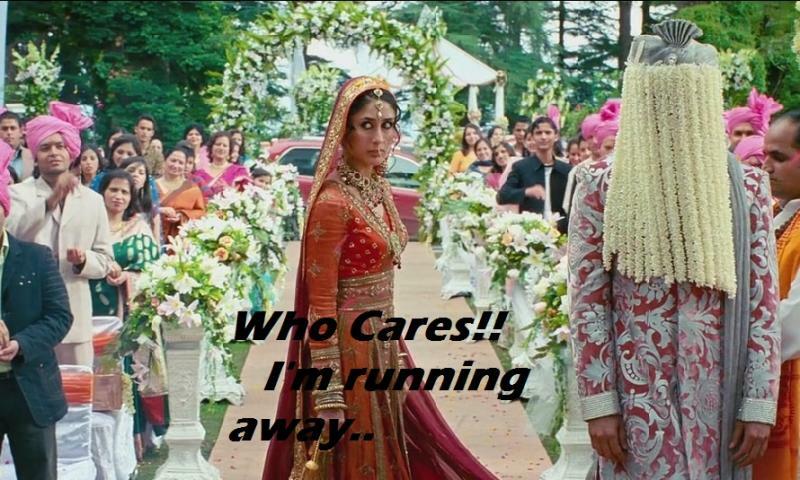 Sorry Kajol! How you can be so selfish? Your dad has died and you are okay with getting married? Not fair! 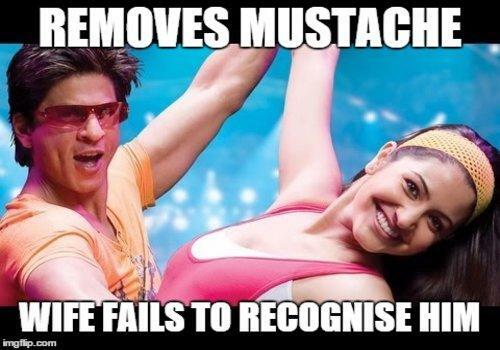 And Sharukh, at least you should have some decency. This is the real murder of the logic. Imagine you are living with your husband in the same house and outside you meet a guy who is the same person. But you don’t recognize him as your husband just because of the missing moustache. Like seriously! You think we are senseless? Wow, What friendship! These are the super women. How can these two women resolve their conflicts related to their boyfriend and reconcile by singing and dancing. Wake up girls! I think you should have a motive of murder. I don’t understand one thing. 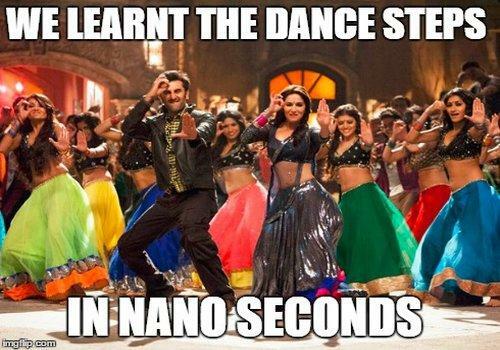 How can everyone fall magically into a synchronized dance with in a second? Even when the couple is dancing on the road, out of the blues, a dance group comes behind and imitates the same steps as that of the hero heroine. Magical powers no! I couldn’t connect the dots in the movie. Divorce proceedings are on the way and the second marriage is already planned. Wow! All Guys must be wishing the same for themselves. That’s really a Golden opportunity for Maadhvan, getting a girl who perfectly resembles his previous wife. I have heard that Dogs are genius. But I didn’t know that they have got so much brains. Tuffy, a cute dog took the responsibility of Prem and Nisha’s marriage. The perfect cupid who took the plot forward perfectly. I think Suraj Barjatya has raised the standards of animals through his films. Hobbling out before the crowd of 4000 relatives at your own wedding ceremony and they are standing and enjoying the whole episode. Is it that simple? 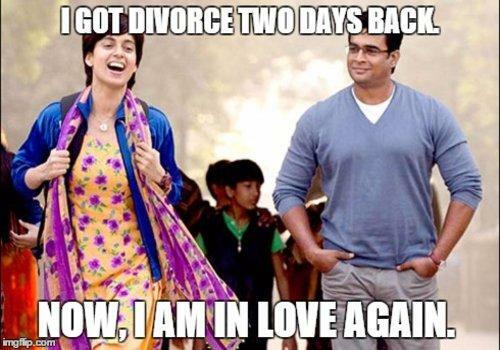 Girls who are forced to get married can try this and should sincerely thank to Bollywood. Are you kidding us? 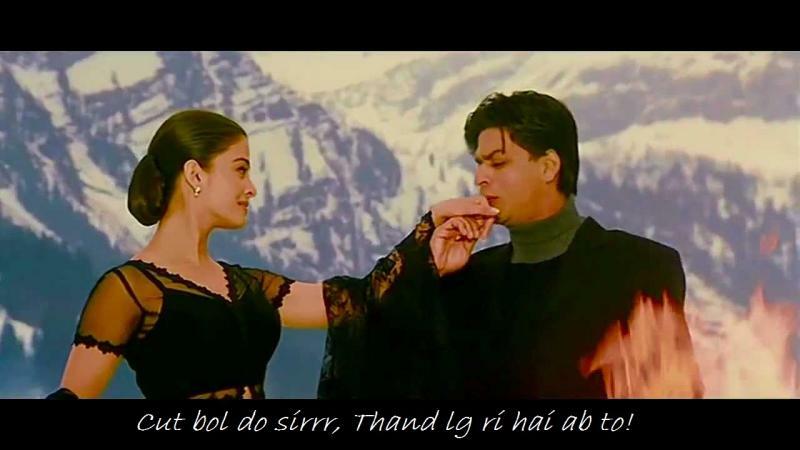 How can someone wear a thin net saree on a giant block of snow? Not a good idea of dating guys. They are making you fool. Is this your child Rohit? I doubt! 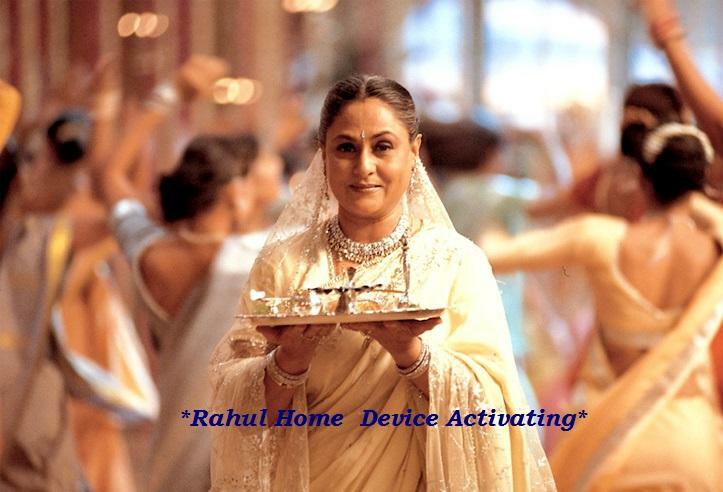 Aunty, can you sense my inner thoughts with your new device just as you sensed Rahul coming home? So Vague! She must have got a sensor fitted in her head to sense the presence of his son, in the film. No need to explain this one. The perfect example the death of logic. Picture itself is enough to depict everything.